My sister passed away, at a far too young age, and left a small amount of money with instructions to do something special and lasting for her granddaughter. I decided the best gift I could give, on behalf of my sister, was a home for her granddaughter. With maket conditions as they were, the timing was perfect. 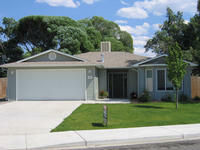 I am a California licensed real estate broker and was first licensed in 1978. Going outside California presented a challenge. I contacted Erika Doyle and began communicating what I wanted to do, how much money I had available, and what I was looking for. Erika listened. After many discussion with her I learned that I could trust her unequivocally. Erika worked with and for me for several months, we made several offers that did not come to fruition for one reason or another. Erika never complained, she just kept sending me new information and was extremely patient with the whole endeavor. She was my eyes and ears inasmuch as I could not make the trip to Colorado. Our transaction was a small one, yet, she treated us as though we were purchasing a million dollar home! Erika made unbiased referrals when asked and tried to be accomodating in every way. 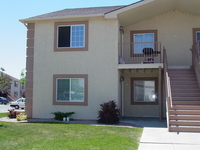 We finally found a property that worked, our offer was accepted and Erika made the closing seem effortless. I trusted her completely. IN MY THIRTY-THREE YEARS IN THE BUSINESS I HAVE DISCOVERED THAT THERE ARE FEW THAT HOLD THE HIGH STANDARDS AND PRINCIPLES THAT ERIKA HOLDS. I WOULD RECOMMEND HER WITHOUT RESERVATION. ERIKA IS A PROFESSIONAL IN ALL WAYS AND EXTREMELY NICE ON A PERSONAL LEVEL. I would recommend her to the pickest buyers and/or sellers. I know she would do an outstanding job, above and beyond what is customary. Erika you have earned my respect and I look forward to finally making a trip to Grand Junction to see the home we purchased for my great-niece and take you to dinner! Erika was a consummate professional, she showed up to our initial meeting on time and prepared. She carried this attitude forward throughout the process of selling our home. She was always available for us to ask and her answer questions we had. Her team assisting her was as professional & timely...a true testament that the apple does not fall from the tree! If you are looking for a real estate professional, I can truly say you need to look no further than Erika Doyle and Doyle & Associates. 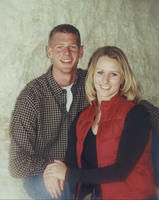 Both Dave and I were inexperienced in real estate and had never owned a home before we met Erika. The first email we received back from Erika made me feel at ease because I felt that right off the bat she knew what we were looking for in a home and understood our needs. 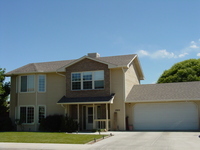 Our first interview with Erika made us feel comfortable and we even found viewing the homes fun! Erika is easy to be around, but always professional in that she provides unbiased opinions. 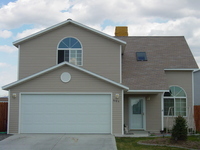 She is extremely knowledgeable about Grand Junction, home ownership, and the whole process that comes with it. 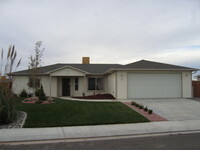 In addition, she gave us excellent referrals for our mortgage lender and home inspection. A process that appeared daunting and scary for us ended up being seamless and exciting. Dave and I know our experience was positive due to all of Erika's efforts. She is a class act and we have already been speaking her praises to other people we know who are in the home buying market. We thank her for finding us our amazing new home. We are thrilled! Sarah Speas is truly a special person who takes her job as a Realtor to heart and gives it her all. Sarah helped to sell our family home and always seemed to understand how difficult this decision was and yet her guidance and expertise made it all so much easier. Sarah was always quick to answer our calls & her willingness to be open to ideas was greatly appreciated. Her integrity is not a value you often see anymore & we were fortunate to find her! Peggy, you are awesome! I am so lucky to have had you as my realtor. You work so hard, are so timely, and so sweet. I had a wonderful first experience in house hunting and purchasing. Thank you so much! Thank you so much for helping us find a home. You were such a blessing to our family and an advocate who made us feel confident. If I searched long, far, and wide I could not find an unpleasant thing about our experience with you and your firm. We'll be pleased to sing your praises and recommend your firm a thousand times over. Thank you! Sarah, thank you so much for helping us find our first home! We love it! It was truly a pleasure having you as our agent! You far exceeded our expectations. We honestly don't think that anyone else could have helped us find our perfect home. You worked so hard to get it done & we really appreciate all that you did for us! Peggy, your attention to details and your authentic interest and delight are professionally refreshing! Once "we" found my new home and began the process, you created a manageable timeline and provided me all the necessary documents efficiently. I appreciated that beyond words! What I enjoyed and trusted was your honesty, integrity, and joy! Thank you for being my REALTOR and friend! Erika, by far, gave me “5 Star Service”! She was always very prompt, timely & professional in all her deeds and actions. I had to have been Erika’s greatest challenge! I was dealing with some medical issues, constantly changing my mind about location and what I really was hoping for in down-sizing my home. She jumped through many hoops for me. Erika went “above & beyond” in assisting me in finding my perfect new home as well as selling my home in a very timely fashion. I would recommend Erika to all ages of people who wish to have “5 Star Service”. In our opinion personality means a lot in the real estate business and Erika outshone all agents that we interviewed. She handled the sale of our home with utmost professionalism. She was a joy to work with! We know what it is like to have a lousy realtor. We know she will have a very successful career! Our very best goes out to her! 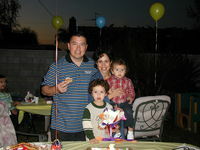 We were in Mesa, Arizona and contacted Erika to let her know we were interested in moving to the Grand Junction area. Erika was so helpful in emailing us all of the new listings so we could see what was available. We enjoyed seeing the listings ahead of time and it was very useful for us to know what type of market we would be getting into. 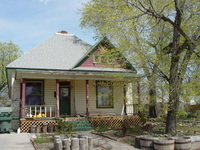 Baer made a trip out to Grand Junction in April and found a house in one day. Baer wouldn't have been able to make that decision so quickly without Erika's organization and insight into what we wanted. Erika helped us along with the next steps as well. She informed us of people to contact for loans, home inspections, and gutters. She always goes the extra mile to do whats needed. We appreciated her support and excellent knowledge of real estate as well as additional information needed to purchase our home. We will continue to use Erika for any future real estate needs and questions. We highly recommend Erika to anyone needing a realtor. Peggy, what an adventure we had during this home buying process. I met Peggy at an open house in the neighborhood where we were currently renting. Peggy had the right personality that I felt would best meet our needs when we did decide to purchase a home. When that time came Peggy was eager and very helpful in finding the type of home we wanted. She made herself available to use during the whole process of buying! We would recommend her to anyone whom asked! The process was long because of the type of financing we needed. Peggy was right there the whole time ready for when she was needed and to give a push so things would be done to make our closing date. So many things went right because Peggy was working hard for us! Thank you will never be enough! Thank you again for all the time you spent with my parents and me to walk us through a big step in this chapter of my life! We were so impressed by you and felt so lucky to have had your expertise and experience and creativity working with and for us! 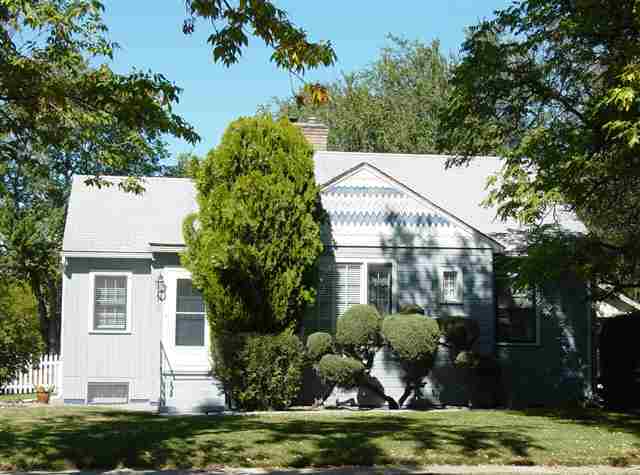 I am extremely excited about the house and can't wait to move. 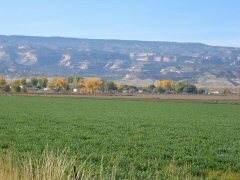 Paul and I are going to love Fruita. I really appreciate the enthusiasm with which you have approached our somewhat unusual circumstances - having to close so soon, putting in the contingency, etc. The words "it can't be done" just don't belong in your vocabulary and I am so thankful that you have such a go-getter attitude - just as Jane described! Thanks again Erika - I will be seeking opportunities to refer people to you in the future! Erika helped us find and purchase the ideal piece of property on which to build our dream home. We never would have found such an ideal lot driving around. Erika listened closely to what we wanted, patiently showed us many options, then guided us through the purchase process. I highly recommend Erika Doyle for your real estate needs. She will be listing our house when we are ready to move into the new one. Erika Doyle is the most hard-working, honest, perfectly delightful agent I have ever worked with. She was watching out for my interests the whole time and made me feel like I had a true advocate during this difficult time. Due to issues beyond both of our control, the days leading up to the closing and the first few days I was in the house were trying, but she was there to help me through all of it. I feel like I have a new friend in my new town. I would use her again in an instant, and will recommend her to anyone who is looking for a first-rate realtor. Erika, you truly went above and beyond for us! I know I thanked you over and over again throughout the process - but "thanks" doesn't even quite cover it! We've moved a lot over the past couple of years and have dealt with (what we considered) some Great Realtors - well you absolutely blew them out of the water! From your amazingly prepared package at our first meeting, your helpful suggestions on how to 'stage' the house to sell (which no Realtor has ever given us before), to you being 100% available and accesible - you will truly be the Realtor to which we compare all others! Of course it didn't hurt that you sold our home in less than a week! I sincerely cannot stress enough how much your help and support was appreciated during this process - with us being across the Country we used (and probably abused) your services and never once did we feel like we were bothering you or inconveniencing you in any way! To be honest, when we first meet with you, it was purely because we "had" to - we already had a Realtor that we liked, had a very close relationship with, and whom absolutely expected to get our business. After our first meeting with you, we just felt in our gut that working with you was the best decision. Making the phone call to the other Realtor was not easy - but we've never once regretted or re-thought our choice! Working with you was truly an incredible experience and made our move that much easier and stress free! We've recommended you to everyone we know - so good luck and just keep doing what you're doing! Erika, I can't thank you enough for the high quality and professional assistance you gave us. I have worked with a number of realtors in my time (since I get transferred alot) and I have experienced some very good ones and some terrible ones. You are, by far, the best realtor I have ever worked with. You worked harder to get us the right house at the lowest price than anyone I have ever seen. No doubt, you are the standard by which I will measure future realtors. Thank you from a grateful client! Being first time home buyers we knew that we needed a great realtor to help us through this process. Since there is so much involved in buying a house we needed someone with patience, knowledge and experience. From the first time that we spoke with Erika we knew that she was the realtor for us. 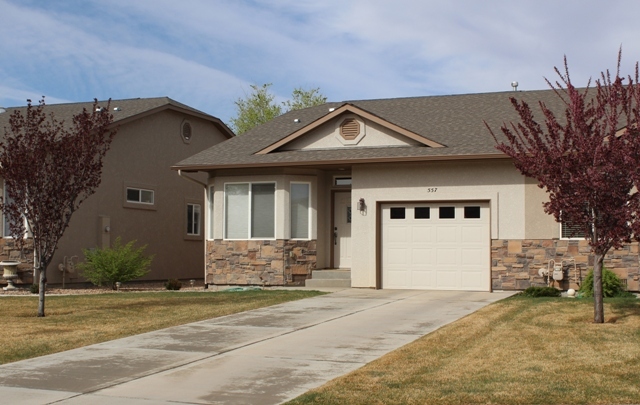 Her experience with the real estate market and the Grand Valley showed us that there was nothing that would come up during this process that she couldn’t handle. We will always be grateful to Erika for all that she has done to help us find and purchase our dream home. She made everything simple for us and was always there to answer questions and address any concerns that we had. We truly feel blessed to have had a real estate agent like Erika on our side. We would highly recommend Erika Doyle to anyone buying a home. Erika did a great job providing information not just pertinent to our new home but also info on the community and relocation advice. She was timely in her responses and really listened when we described what kind of home we were looking for. 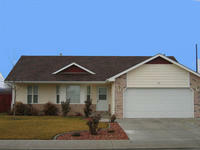 The lender she referred did a great job with minimal effort on our part. I'd recommend Doyle and Associates to everyone! Erika is a professional in all senses of the word. 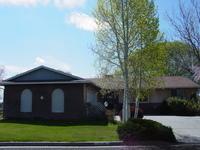 She is friendly and caring, and shows true concern for the comfort and well being of her clients. By the time we left we considered Erika part of our family! 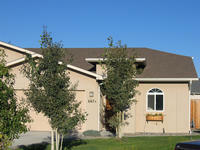 We would definetly use Doyle & Associates again and encourage any one looking for a home to contact Erika. Thanks Erika for all your help! Ms. Doyle did an outstanding job of guiding us through the process of purchasing a new home and selling our previous one. She was always available to answer our questions in a manner we could understand. 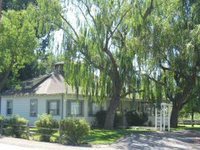 In the past, this has been a somewhat mystifying and uneasy experience, but Ms. Doyle's attention to detail made the process of selling and buying a house a very easy one. 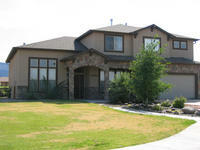 I would, without reservation, recommend her to anyone considering buying or selling a home. Erika Doyle and Associates are awesome. We found Erika to be prompt and knowledgeable in responding to every question that we had and we had a lot. Her office staff is great, very helpful. 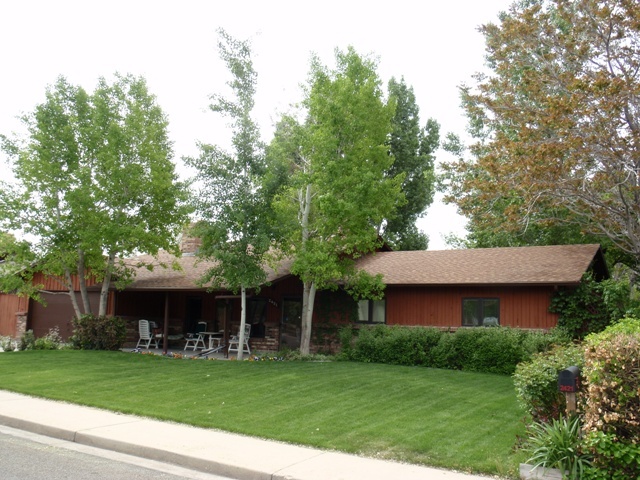 Erika's knowledge of the market is outstanding and her familiarity with the area makes her a potent ally to any person buying or selling a property in the Grand Junction area. She made our very stressful situation smooth as silk. I would highly recommend Erika to any person needing a real estate professional without any reservations. You can't go wrong with Erika! We were very happy with your services. You repeatedly went above & beyond to help us find our home. - your really looked out for our interests & we felt we could trust you 100%. As first time homeowners attempting to buy a home from across the country, we were apprehensive about the home-buying process. Erika went out of her way to ensure that each step went smoothly. We had a very limited period of time to close on a home, and we could rely on her to get things done before we needed them to be. Every little question we had regarding any part of the process was answered personally by Erika, or she took steps to find out the answer. Realizing our inexperience, she made sure to point out things we should know about particular homes, inspections, appraisals, etc. We couldn't be happier with our experience with Erika and Doyle & Associates, and we absolutely love our new home. With myself in California and my husband in Colorado Erika kept me informed of everything. She helped my husband with finding our home, locating a mortgage company, and insurance. It was great! We couldn't of done it easier without her. If we ever move again we will only use her. Thank you for such a smooth experience. We were looking for a good sized home to raise four children in. We also wanted a nice backyard! Erika found exactly what we were looking for, she answered all of our questions, and she handled everything just perfect. Everything was done professionally and fast. We love the house and the children love it as well. It worked out great for us all! Working with Erika was a pleasure. We flew in from out-of-town and had a limited time to see homes in person. Erika went above and beyond and wasn't satisfied until we had just the home we wanted. If anything, Erika bacame even more invaluable after our offer had been accepted. She helped us with everything from arranging an inspection to providing contact information for all of our utilities. 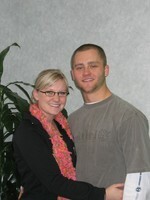 As first time home buyers from out-of-town, we were overwhelmed, but thanks to Erika it was a wonderful experience. We whole-heartedly recommend Doyle & Associates to anyone interested in buying a home and avoiding a headache. The most exciting thing we experienced was seeing Erika make our dreams of owning our first home come true. We had little money and not much credit history. Our thoughts were that it wasn't possible. Erika, with her knowledge, professionalism, and hard work made a dream become a reality. She went above & beyond exceeding our expectations. She was ready & willing to do anything for us...all we had to do was call. We look forward to working with Erika in the future. Erika truly works for her customers! We were ready to list our home with her and she suggested we keep our current home & rent it out. I never thought I would qualify for two homes but Erika made it happen. 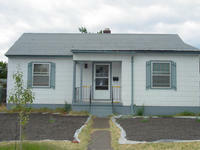 Now I have a great investment property as well as a new home! Thanks for your excellent service & knowledge! My wife & I were referred to Erika and we were blown away with how professional, pleasant, & responsive she was as our agent. We moved here from MN & had some problems with our mortgage lender, but Erika was always in constant communication & helped us in easing our minds. Erika is the real estate agent I would recommend to anyone. 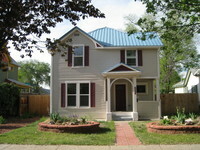 This was our first home purchase, but Erika made it seem so smooth with great personality and ability to truely listen. We love our home and if we move, Erika will be our Realtor! Thank you! It was such a relief to work with Erika in finding a home. 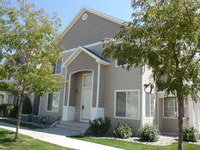 We were moving to GJ from out of state and had only a brief time to visit and find housing. Erika made our visit efficient and productive (and enjoyable considering the stress we were under!) We greatly appreciate all the help Erika gave us, not only in finding our home, but also about the area and community in general. Not all real estate people can say "I know this is the house you will like" and we end up buying it. You were very kind and helpful. You were patient with all our requests. 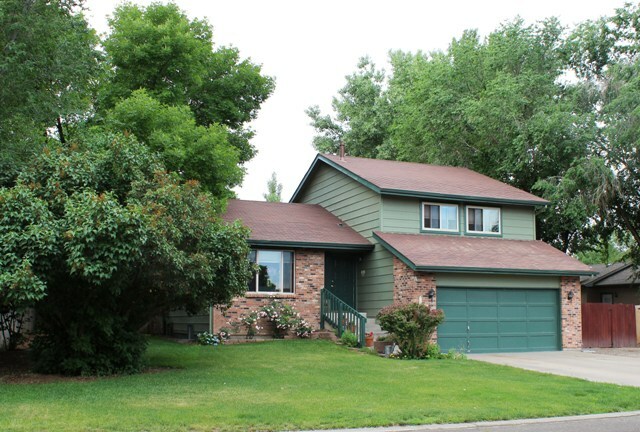 We love this home and are greatful for your help! Feel free to stop by this summer! We have already made it into the beautiful home it is! Thanks greatly! Working with Erika was a great experience. This was our first home purchase and she made it as painless as possible. She is very easy to talk to, full of lots of information & insight. Erika was always available for questions and she responded promptly anytime we had to leave a message. She is a very caring, personable, & honest individual. We had complete confidence in Erika & look forward to using her services in the future! Just want to say "Thanks" for being the exact example of how agents should behave with one another, but you went the extra mile, and I will always remember your kindness & willingness to help. May God return your kindness back with health and tons of blessings for you and your family! Thanks again! Erika did a fantastic job representing our home to potential buyers and "closing the deal" when the time came. She made sure we were satisfied every step of the way and kept us informed about every showing or open house. We were very pleased to work with Erika and would wholeheartedly recommend her to anyone looking for an enthusiastic, hard-working realtor! 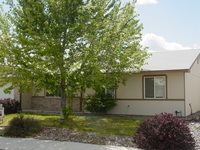 Most of our transactions had to be done via phone and e-mail since we were moving to Grand Junction from out of state. Erika did a wonderful job with keeping us abreast of the information we needed, e-mailing us listings within our price range on an almost daily basis, and always answering our questions in a timely manner. 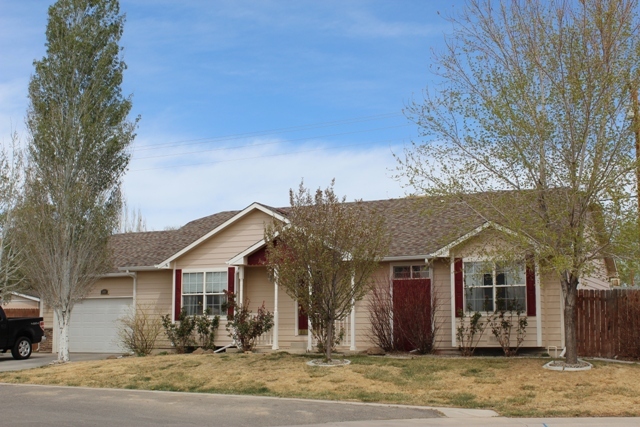 When we flew out to Grand Junction to look for a home we were on a short time crunch. Erika was very accomodating with our schedule and had several homes lined up for us to see. 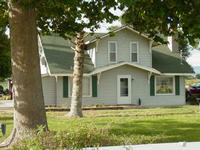 Once we found a home, Erika walked us through the steps and made the entire transaction a very smooth and pleasant one. Being first time home buyers we did not know what to expect and Erika helped to ease any nerves and answer our questions. 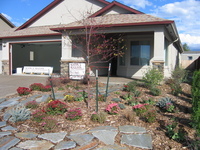 You gave us the best experience out of all the realtors that we have worked with. We will be more than happy to refer people to you! We will also be more than happy to work with you in the future. Thank you for your time and effort! Erika proved herself from day 1. She worked with us on our level and was always eager to be of help. She was available when needed, fun to work with, and I will certainly be calling her on our next investment endeavor. Thank you Erika!!! Erika is always upbeat and positive. We always feel like she is working for us. Erika is available at all times and is very knowledgeable in our real estate needs. She is very familiar witht the valley and has a great feel for our needs. She's the best! You were by far the most attentive, thorough, professional, customer service oriented real estate agent we have ever done business with. We will refer anyone who asks to you, without reservation. When we first met Erika, she instantly put us at ease about the home-buying process. We never felt pressured and she displayed confidence in her ability to help us find the house we were looking for. She worked with our busy schedules and was patient with our many questions. In the competitive field of Real Estate, Erika stands out as a true professional. Selling property long distance is always a challenge. In our case, doubly so, since it involved two estates with executors who did not see eye-to-eye. Erika proved to be invaluable in keeping the peace and things on track. I would hate to go through this process again, but if I did I would want Erika Doyle in my corner. Oh my!!! What a great experience I had with Erika! Fun, Fun, Fun!!! 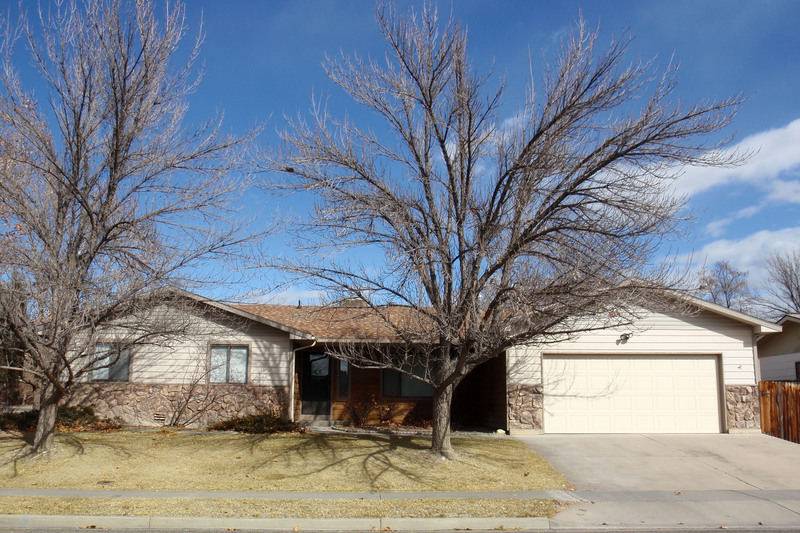 I was dreading the home purchase process but Erika made it easy, fun, and successful. She was responsive to every question and concern we had and was willing to do absolutely whatever was needed to make us happy. Even after we moved into our new home and a smoke alarm on a high ceiling started chirping, Erika got us a ladder to borrow from her husband's business so we could replace the battery...I consider that above and beyond the call of duty. I would whole-heartedly and without hesitation, recommend Erika to anyone for their real estate needs. 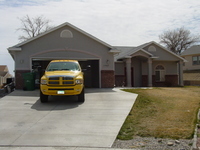 Erika is so knowledgeable of the Grand Junction area and truely provided us with a comfortable buying experience. She took excellent care of us and made us feel like long time friends. We highly recommend her. Thank you so much for your exceptional service. We appreciate how hard you worked to find us our dream home. Thank you. The whole process of selling our home could have been a nightmare, but with Erika's assistance we didn't lift a finger. 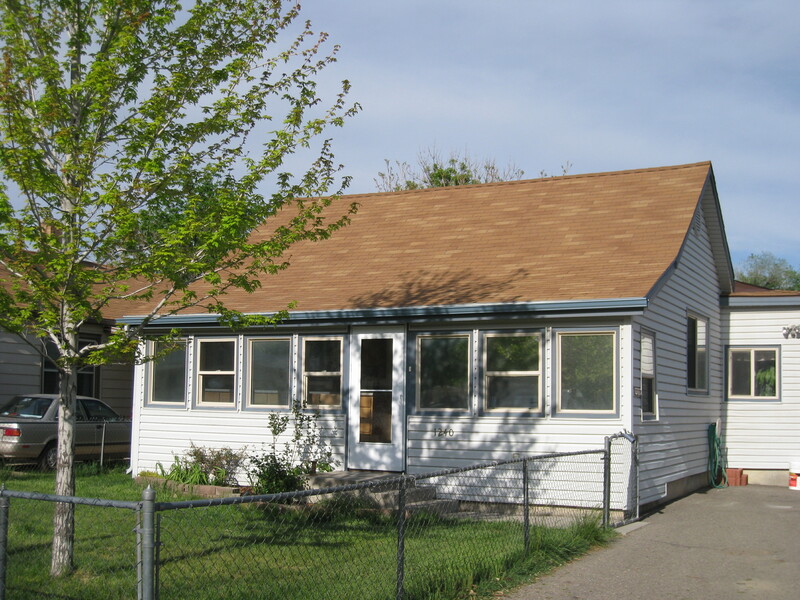 The house sold immediately and we were left standing, smiling, and completely free of red tape. Jonathan and I were very pleased with your kind and prompt service! Coming from across the country was a bit nerve racking but our fears were quickly tamed by your warm and friendly service. We appreciate your availability. Our calls/questions were returned/answered in a very timel manner. We were very well taken care of. We have already recommended your services to others and we have every reason to come to you again in 3 years when we move again, be in the valley or out. Thank you for your wonderful service and friendly smile! Erika Doyle and her staff could not have made out-of-state first time home buying an easier or more enjoyable experience. Erika was quick to return every call & email and spent a great deal of time making sure our every question was answered. 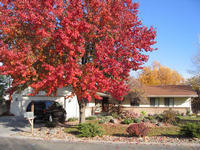 Mike and I are very happy in our new home and are lovingthe community here is Grand Junction. 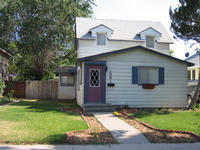 Thanks to Erika Doyle & Associates for a great home buying experience! Thank you for helping me! When all loans fell through there was someone else to help me out! You have been the best! From start to finish our complete process only took one short month. It only took two weeks to get our house under contract and another two weeks to close on our new house. We were very relieved and impressed that everything moved along so quick and easy with no bumps in the road. Thank you very much for all of the time and extra effort you put into this! Erika was always on top of the selling & buying process. She was in contact with all parties involved to insure that the buying and selling of our property went as smoothly as possible. I have never had this go so well!!! 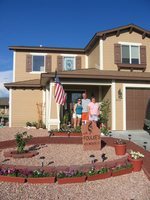 This is the 6th house we have bought and the 5th house we have sold from Kremmling, Colorado to Grand Junction, Colorado. 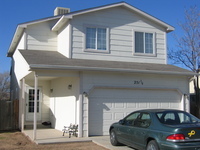 Erika helped us with the selling of one house and the buying of the one we live in now. I would recommend Erika to anyone, especially to my family and close friends. I thank God to have been blessed with the chance to meet and work with Erika. Erika is a good person, but a good Broker as well. Thanks Erika for making the whole buy and sell process so easy for us. You're a really great person and it was great working with you! You did all the work and we didn't have much to do. Thank you again Erika! 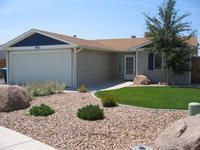 The entire time we had our property listed, Erika was very helpful, professional, and honest. We value her advise and we are extremely happy. I have recommended Erika to several of my friends and will continue to do so. Thanks again Erika!! Without you, these past few years would have been unbearable!! My family and I couldn't be happier with our first home. Erika Doyle was a critical part of the process whereby we found and chose the property. Always accessible, always patient, and prompt in her replies to my many phone calls, emails, inquires, and always ready to offer a helpful, informed, and professional perspective. Her insight was a real asset. Moving from out of state presented some difficulties, but despite the problems posed by distance, we experienced a relatively smooth and surprisingly simple home buying process. Thank you Erika and Doyle & Associates. Thank you Erika for making me first time home buying experience smooth & easy! I appreciate your helping me through each step of the process. I will recommend all my friends & colleagues to you in the future! Thank you again! Erika - Thank you! 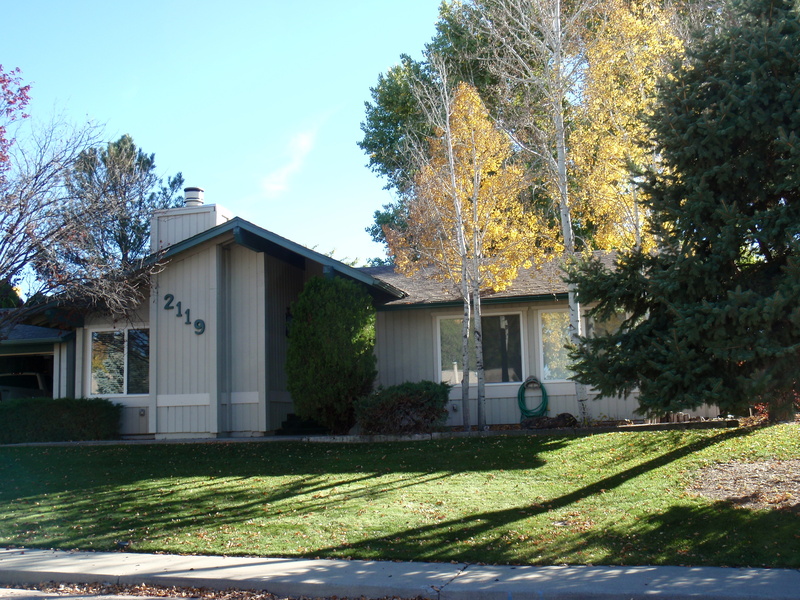 We will definitely pass your name along to all residents @ St.Mary's when it comes time to recommend someone! Best of luck and Happy New Year! Sarah did a great job as well - Thanks! Vote For ERIKA DOYLE For PRESIDENT! Erika helped us not only find our dream home but also understand the details of every transaction and detail of the buying forum. If we are ever in hte real estate market again we will certainly give her a call! Thanks Erika! It went so smooth and quick, we can't even think of anything to critize! Erika was very patient with me in my situation...I was some extra work! 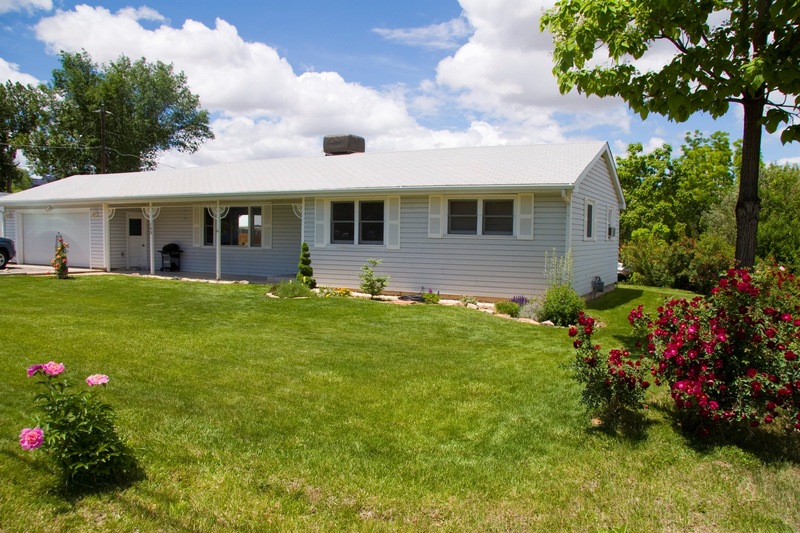 When the time came for us to "downsize" to a smaller home & attain our dream of having a small acreage with a place for horses and a shop, it was a bitter sweet moment for us and only one house on the market suited our needs! Erika is a superb communicator - all of our questionswere answered immediately through out both transactions. much loved former home for us in just 12 days! You did a geat job! You explained things in ways that were very clear to me. You gave me the guidance I needed to get the house ready for sale. You went above and beyond what you needed to do. I would recommend you to anyone, and will if I get the chance. Thank you very much!